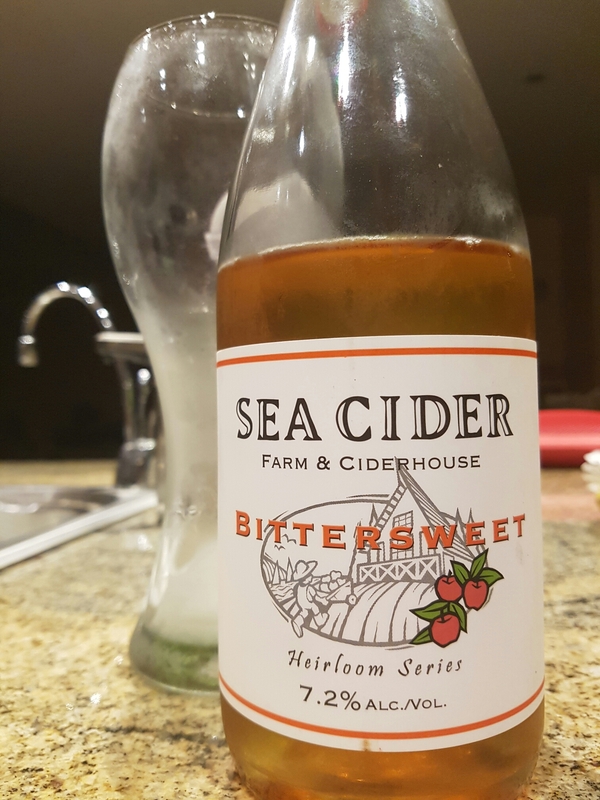 Bittersweet – Sea Cider (Saanichton, BC, Canada) | Justintoxicated. Bittersweet apples are the backbone of traditional English cider and are some of the rarest apples in Canada. We grow several of these prized varietals, which can be heart breaking to grow, yet produce some of the world’s finest cider. Our Bittersweet cider is an off-dry sparkler expressing the classic phenolic character of this coveted fruit. Raise a glass of Sea Cider to a bittersweet tradition! Sea Cider’s Bittersweet is a cider truly rooted in tradition. Dabinetts, Yarlington Mills and other English bittersweets have been patiently cultivated on Sea Cider’s farm to bring you this rare libation. While most people would consider bittersweet apples inedible in a culinary sense, their bitter flavour imparts a cider full of character. These apples are high in tannin, low in acid and provide the classic flavour of the finest English ciders. Enthusiasm for these varietals and their importance in cider making apples goes back to the 13th century! In a market increasingly dominated with ciders made from dessert apples, Bittersweet brings the classic phenolic character that can only come from the true cider-making apples of yesteryear. Visual: Pours clear pale orange-yellow, dissipating fizz with large bubbled ringed retention, spread out clusters of active streams. Finish: subtle bitterness, light burpy, sticky gums, red apple juice exhale, residual sour acidity. Summary: Drinks like a sour, light-tart puckery Martenelli apple juice with undetectable alcohol. I enjoyed this cider from them, and in general am a big fan of bittersweet ciders (the rich caramely ones which don’t get too bitter). My favorite Sea Cider remains Prohibition though. My favorite bittersweet ciders are Finnriver Fire Barrel (WA), Locust Bittersweet Reserve (WA), Sea Cider Bittersweet (B.C. Canada) and Aspall Imperial – black label (England). I thought this cider from Sea Cider was pretty decently drinkable. I hadn’t heard of Locust until you mentioned them; Being a huge fan of flavoured/spiced ciders and beers I’m curious about their dark cherry and thai ginger cider. I have a few bottles of Finn River that I’ll get around to and I’m sure I’ve seen Aspalls on the shelves before. Thanks for your comment! Locust is pretty small, just available in the Seattle WA area I think (they are from Woodinville WA, NW of Seattle). Many of their ciders are rather mildly flavored, but I love their full flavored ones like the Bittersweet and WA Dessert Apple.